I found this bottle in a house that my brother bought in Alabama. The past residents were both long deceased, but were obviously collectors as the house and some outbuildings were littered with bottles and other stuff. 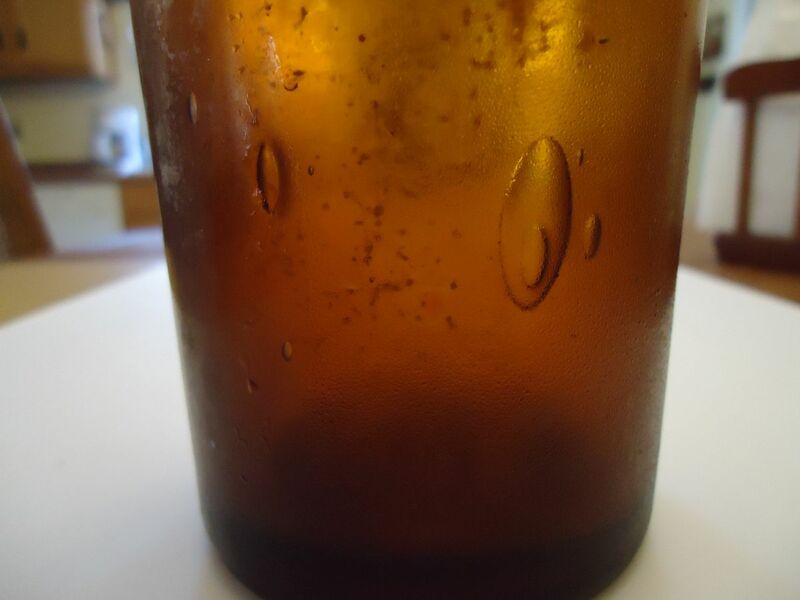 The bottle in question is 11 inches tall brown glass with oily look, has some bubbles in glass and some wrinkling at the neck. No mold marks anywhere. No numbers letters or designs anywhere on bottle. A small round smooth dimple in center of bottom. anybody seen or heard of such a thing. I am not into collecting bottles but do have an eye for unusual anything. Does anybody know anything. Or has anybody heard of such a thing. 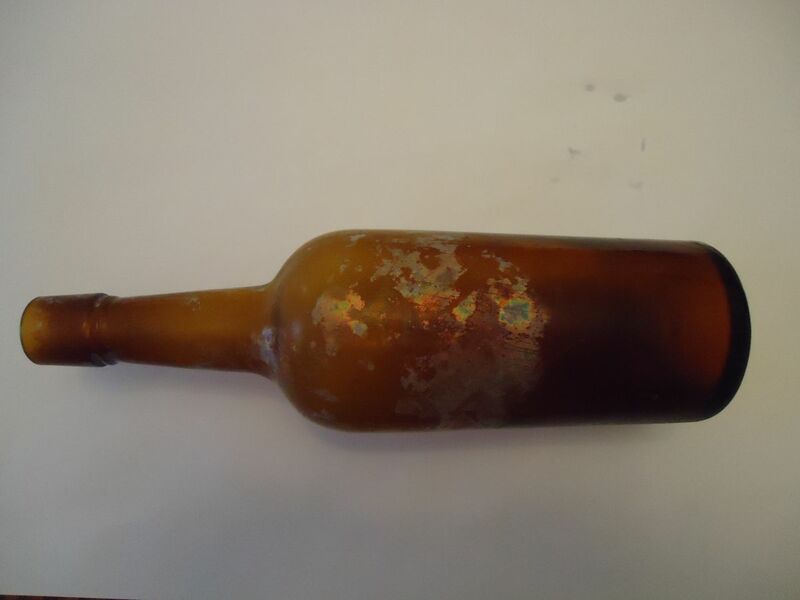 This appears to be an 1890s whiskey bottle. A common form. It has what collectors would say is a "tooled top" - that is, the lip was formed from the glass of which the bottle was blown and not applied separately. The oily look as you say is commonly called iridescence - the occurs from the breakdown of the glass components.